One outcome of the recent UN Climate Change Conference in Durban is particularly revealing for efforts to understand the ‘new carbon economy’ (see Antipode 43:3), signalling that it involves not simply ‘end-of-the-pipe’ regulation of emissions, but a complex articulation between the extractive industries of fossil fuel production and the fictitious capital of emissions credits. Under pressure from the UAE, delegates agreed to include carbon capture and storage (CCS) as an acceptable technology under Kyoto’s Clean Development Mechanism (CDM), making CCS projects eligible to earn emissions credits tradable under Kyoto. CCS involves capturing and piping the emissions from large-scale emitters such as fossil fuel-fired electricity facilities into deep geological formations, primarily depleted oil and natural gas fields, for permanent storage (see http://www.co2storage.org.uk/ and http://sequestration.mit.edu/). CCS projects in the US and EU have largely failed due to high costs and a lack of incentives (such as the ability to generate emissions credits) to develop the technology, a problem that the increased revenues from emissions trading would help to alleviate. In CCS projects, the existing geography of extractive fossil fuel industries becomes part of the infrastructure of a ‘low-carbon’ future. Their inclusion under the CDM suggests, as Gavin Bridge (2011: 822) argues, that accounts of the ‘new carbon economy’ should attend not only to the circulation of emissions credits, but to intersections among multiple forms of carbon in “an ‘actually existing’ carbon economy that extends backwards from the point of greenhouse gas emissions all the way upstream to the site of fossil fuel extraction”. As most carbon capture projects involve piping emissions into depleted hydrocarbon reservoirs, CCS projects unite both ends of this carbon economy in a strange loop, through which carbon returns – changed in form both physically and economically – to the site of its extraction: in a single oil or gas field, ‘carbon’ moves full circle from an energy commodity to a financial asset (emissions credits) as the waste of the extractive industries (emissions as well as wasted lands) present new sources of value. But there is a further level at which the inclusion of CCS projects under the CDM complicates this loop: CCS projects have proven most lucrative and most successful when combined with existing practices of enhanced oil recovery, which have been utilized in the US for the past 40 years. Enhanced oil recovery involves injecting depleted oil fields with gases (such as CO2) or chemicals to force out deposits of crude that cannot be reached through drilling alone. Such projects have in the past used natural sources of CO2, but have increasingly begun to seek artificial sources. As Timothy Gardner (2011: np) describes in a recent NY Times article on the coupling of CCS with enhanced oil recovery in the US, uniting the two industries can prove mutually beneficial by “enlarging the market for man-made carbon, helping to build out a pipeline network to move it to market, and helping the business become more efficient in shooting the gas underground”. With the inclusion of CCS projects under the CDM, the new carbon economy of emissions trading has the potential to literally inject new life into an aging oil industry. The promise of revenues from both emissions offsets and increased oil production seems to have been a major motivation prompting the UAE to push for the inclusion of CCS under Kyoto. As reported by The National – a government-owned English language newspaper published in Abu Dhabi – the decision would enable Masdar, Abu Dhabi’s clean energy initiative, to cooperate with the Abu Dhabi National Oil Company (Adnoc) to develop an ambitious network of pipelines uniting carbon emitters with declining oil fields (see Neuhof 2011). While one such project has already been completed, a more extensive one had to be shelved when Masdar and Adnoc could not agree on the price of carbon. The ability to trade emissions credits under the CDM effectively resolves these financing problems, providing CCS projects with necessary external funding and tying the price of carbon to the Kyoto market. As Mari Luomi – a fellow at the Georgetown University campus in Doha – states, “CCS, once past the pilot stage, has the potential to generate massive emission reductions – and consequently carbon credits – for the GCC [Gulf Cooperation Council] states” (quoted in Neuhof 2011: np). Not surprisingly, the decision at Durban was welcomed by giants of the energy industry such as Shell and Alstom, as carbon capture presents an important part of the energy industry’s green makeover (in particular in ‘clean coal’) (Clark 2011). 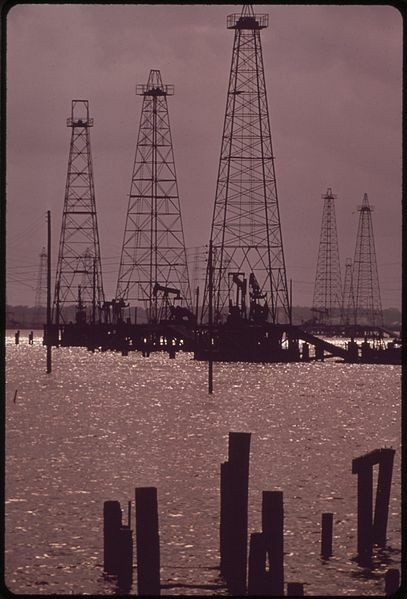 Shell was also an early developer of enhanced oil recovery using natural sources of CO2, and is currently exploring ways of using emissions in such projects (see http://www.shell.com/home/content/innovation/meeting_demand/eor/types_of_eor/). David Hone, senior climate change advisor at Shell, expressed confidence that the decision would provide a boost to the carbon capture industry, as “[t]his important technology now has the opportunity for global use under a clear set of rules that all countries have sanctioned” (quoted in Murray 2011: np). Aside from the obvious irony of generating carbon credits through projects that enhance the production of fossil fuels, the inclusion of CCS under the CDM suggests new ways for large-scale emitters in the energy industry – those typically opposed to carbon regulation – to benefit from the emissions trade. This decision thus takes to a new level Bridge’s (2010: 829) assertion that a broad perspective on the carbon economy requires attention to how “offsets and sequestration projects license the continued development and extraction of fossil fuels”. 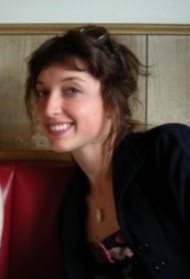 For example, the standoff over US cap-and-trade legislation has largely broken down along the lines of a crude division between industrial and financial capitals, as financial institutions such as JP Morgan Stanley and Goldman Sachs – with growing investments in carbon and its derivate markets – stand to gain from the produced scarcity of emissions rights, against the interests of the energy industry. However, the success of the UAE in negotiating for CCS suggests a more complex and convoluted relation between the entrenched political power of the energy industry and the financial interests that have led the charge for more robust carbon regulation. By directly linking ‘carbon’ in the form of energy commodities with ‘carbon’ as a financial asset (often in a single location), this decision creates new feedbacks among various ‘carbon capitals’, suggesting the importance of attending to the geographical sites where the ‘new carbon economy’ does not so much diverge from as fold back into the old. 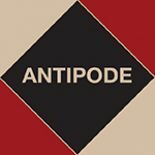 This entry was posted on 13 January 2012 by Antipode Editorial Office in News and tagged carbon capture and storage, COP17, emissions credits, extractive industries, fossil fuels, Kyoto, new carbon economy, UN Climate Change Conference.